Encouraging people to purchase products from you as an affiliate you is a valuable skill that is not only financially rewarding but also personally fulfilling. Even if you sell your own products or services, affiliate marketing is a great income stream you can add to your business to add value to your customers and make extra money while doing it. In almost any profit-driven company today, the best-compensated people are those who deliver sales, whether they work the front lines (e.g. real estate agents, car salespeople) or the boardrooms and negotiating tables of Fortune 500 companies. Fortunately for beginners just getting started with affiliate marketing, hard sales skills are not a prerequisite for affiliate marketing success. Provided that you choose a profitable niche market, set up your WordPress platform properly, and take the right steps to grow your audience, you can generate affiliate income as a relationship marketer. As mentioned earlier, if you do it right promoting the right products that can help your audience is a way to actually add value. They key is to be able to drive traffic to your website, build and maintain a subscriber list of raving fans to which you can demonstrate value and expertise, and follow up with them on a regular basis with good quality content and related offers for them to purchase. Fortunately, the answer is no. Most folks – upwards of 95% of Americans – are sales-averse, i.e. they don’t like pitching goods to others AND they don’t like being bombarded with high-pressure sales tactics. However, they are willing to consider offers from people they know, like and trust. This is where you and your subscriber list come in. You might have heard the old saying, "people hate to be sold but they love to buy". Even in an era of increasingly sophisticated social media marketing and the twenty-four-hour information cycle, sending e-mails to your list remains the most reliable (and profitable) promotion tactic in affiliate marketing. When it comes to email marketing, this doesn't have to be something difficult to do. You can simply send emails as if you are talking directly to a friend, prospect, or customer. Conversational emails tend to do well vs more polished "professional" emails, so you don't have to worry about spending a lot of time trying to come up with slick emails. Not only that, what’s great is that plain text e-mails often work best. They’re easy on the eyes and convey a sense of honesty and authenticity to your reader. All too often, affiliate marketers get carried away with fancy new tactics that attract attention but do not convert into sales. 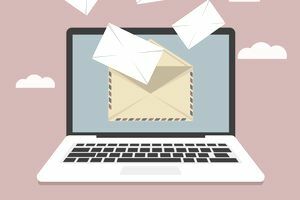 You don't have to spend a lot of time or money having a fancy newsletter with nice graphics created, just send a plain-text email to your prospects and customers like you would to a friend. Highlight the products’ benefits for your subscriber without being verbose. You’re not writing a novel or even a full-blown sales letter. Not necessary to list features. Be concise with your pitch and avoid excessive repetition. Personalize your recommendation (Why do YOU recommend this product?). Mention your results and other buyers’ positive results with the product. Don’t overdo the links! One affiliate link halfway through the text and a second link near the end of the text is a good way to go. Combine e-mails with other promotion methods like product reviews and bonuses. They are consistent with their relationship marketing efforts, meaning they are emailing their list, writing a new blog post, and/or touching their audience in some way at least once per week at a minimum. Never feel like you are "annoying" your list as long as you are delivering good value and relevant offers that can help them. They are persistent when putting together a campaign, but wise enough to know when to let it go and move on to other things. The best marketers use tools to measure and evaluate their performances and are open to criticism and suggestions from subscribers and colleagues. Never get discouraged if your great idea for a marketing idea fails, simply move on to the next one. Successful affiliate marketers measure beyond just money. How will you know that you’ve become a successful affiliate marketer? The number cruncher in you may raise your hand and say, “When I make X dollars per month every month for a number of years.” Hard to argue with that, since making money online is a strong motivator. However, why not measure success by the number of lives you touch in a positive fashion by introducing them to your affiliate products? Chances are that the money will follow. Seriously, the most valuable advice given to me as an affiliate marketer – and that is being moved forward to you today – is to respect your audience at all times. They are making you part of their lives and are prepared to put money into your pocket. In exchange, it is your duty to give them meaningful content that addresses their wants and needs and follow up with affiliate offers that meet these objectives. Do this and you'll have all the success as an affiliate marketer you've ever dreamed of.